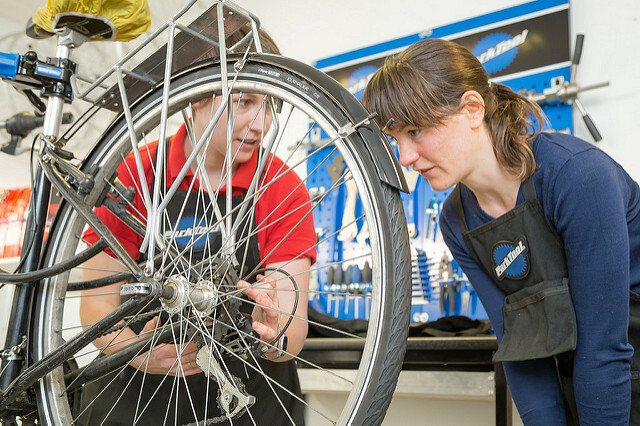 As well as our courses we also offer one-to-one (or two-to-one) bike maintenance training at our dedicated training workshop in north Cambridge. Looking to get some tips on maintaining your own bike when you’re in the middle of nowhere on your next tour, or just always wanted to know how to change a chain and cassette? Get in touch and we can book you in for some bespoke one-to-one training. For one or two people training is a flat rate of £60 per hour or £200 for a 4 hour block. Get in touch for details or to book in a session.